It isn’t very often that I will repurchase a fragrance. In the past there has only ever been one (that I recall) which I have picked up on more than one occasion, that being Giorgio Armani Code. I no longer have that in my collection anymore and it has been a good while since I last used it. This is only natural as explore and try new things over time. At the beginning of 2017 I picked up in the Boxing Day sales the YSL Mon Paris Eau de Parfum which I had wanted since launch. The packaging alone is beautiful and the fragrance itself is even better. Throughout the year I used it sparsely because I didn’t want to use it all up as it is quite expensive to buy unless it is of course on offer. This has notes of patchouli, white peony and raspberry making it quite a light and fruity. I always recommend that you try fragrances in store for yourself as fragrance is so personal. What smells nice to one person may be to somebody else’s distaste, therefore I do urge you to try this as despite it in my opinion being quite fruity, it is still a fragrance which is easy to wear and for me is both applicable to both day and evening wear. Whilst in Boots a couple of weeks ago I happened to stumble across a fragrance clearance stand where I found the Christmas Limited Edition bottle of YSL Mon Paris for just £30 instead of £71. Of course, I snapped it up, I adore this scent and thought that it was too good of a deal to miss. I do note that this particular bottle is full price online though so it may be worth checking your local stores just in case there are a few of these hanging around still. The Christmas Collector’s Edition is so incredibly pretty, it is covered in pink sparkles which of course would have been really nice for Christmas and Valentine’s Day. The original bottle is plain but is still just as beautiful, although it has been quite nice to be able to pick up this design on the off chance as I have quite a penchant for pretty perfume bottles. 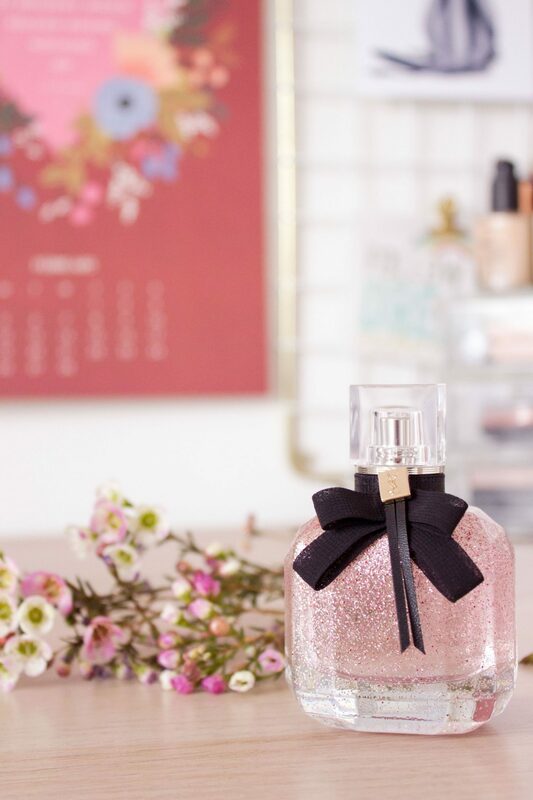 Have you tried YSL Mon Paris?